In my last post, I gave a hint about my plan to bring in some aquatic beauties in my home. I’ve always been mesmerised by lotuses and water lilies. Maybe, because, these are quite hard to find. These, particularly lotuses (Nelumbo nucifera), in the religion, I follow - Hinduism, it has been portrayed as a symbol of divine. This means that lotus has quite a sacred place in our religion. More important than its divine and sacred status, I give more importance to the beauty associated with lotuses. While browsing other gardeners’ blogs from throughout the world, I came across some peoples’ blogs who have lotuses planted in containers. So, I’ve been thinking of getting my own lotuses on my rooftop. Since I like experimenting with my garden, I went ahead and bought some lotus seeds from eBay, since that was the only place I found the seeds. Lotus seed packet with the orange lotus. 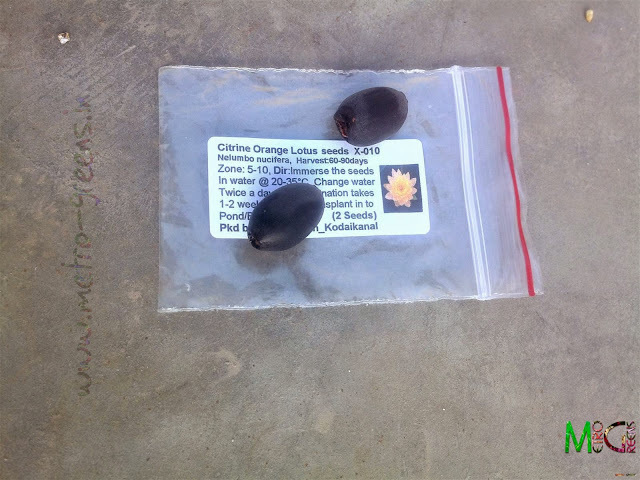 Screenshot of the orange lotus as displayed on the seller's page. The second one. A cream and pink lotus. A screenshot of the second lotus I bought. 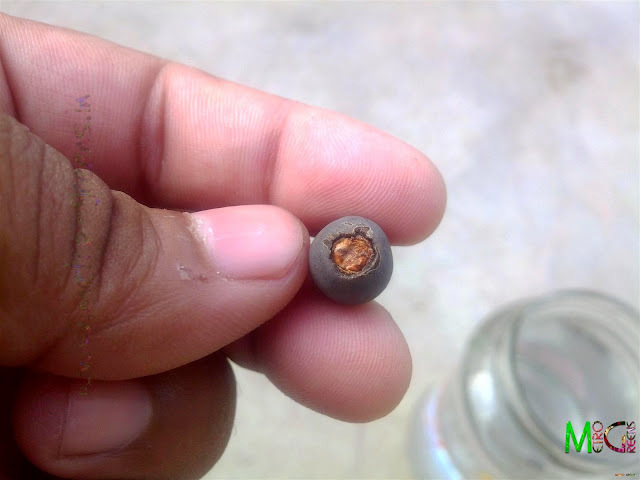 The lotus seed with a part of the shell cut for easy germination. The lotus seeds immersed in the water for germination. When I told about my plan to plant lotuses, to my mother, she surprisingly didn’t yell at me. :P When I asked, she said lotuses are beautiful. 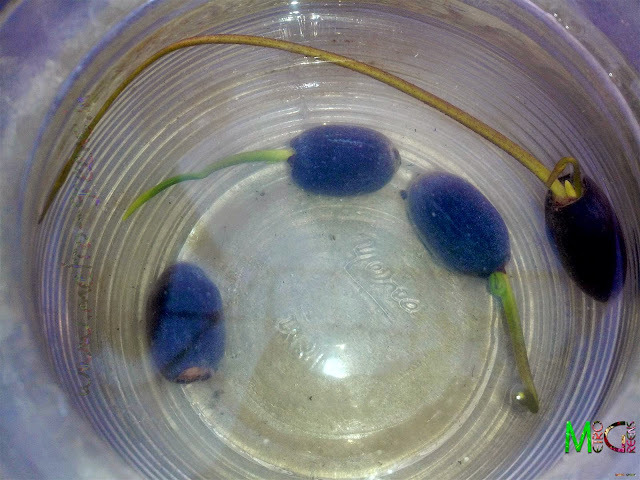 Lotuses, as I understand, are quite easy to grow, as they have to be planted in water. The instructions too, as provided by the eBay seller on the listings page were quite easy to understand and follow. There was nothing complicated as are the instructions for rose seeds. 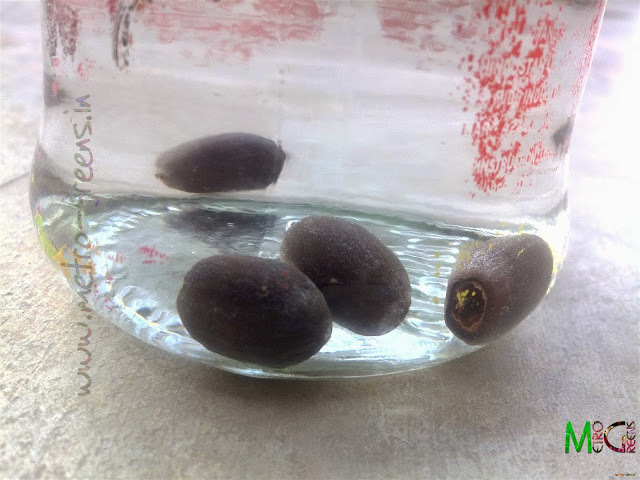 You just need to put the seeds in some water and as per the instructions, the water needed to be replaced twice a day, understandably so, as the seeds released some whitish substance in the water and it was there both, in the evening and the morning even after changing the water both the times. 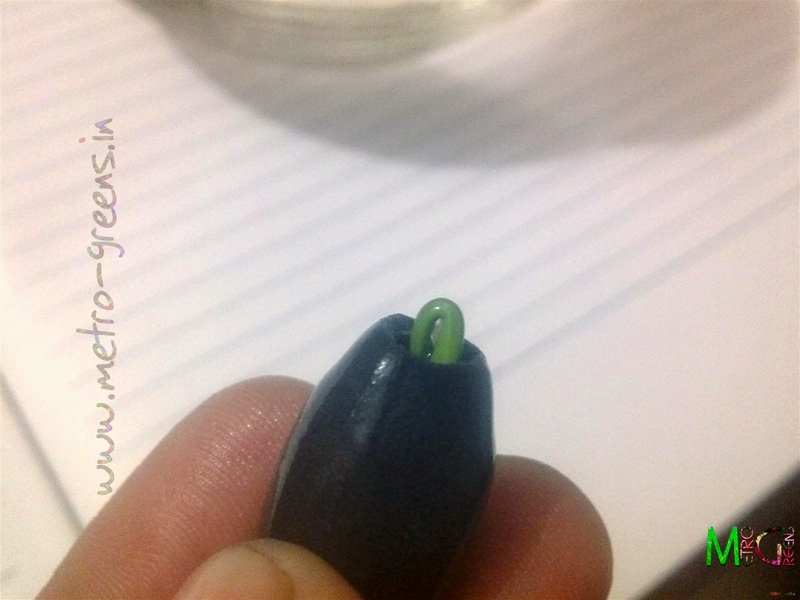 The instructions also asked to cut the seeds towards the mouth to allow the plant germinate properly through the hard shell of the seed. 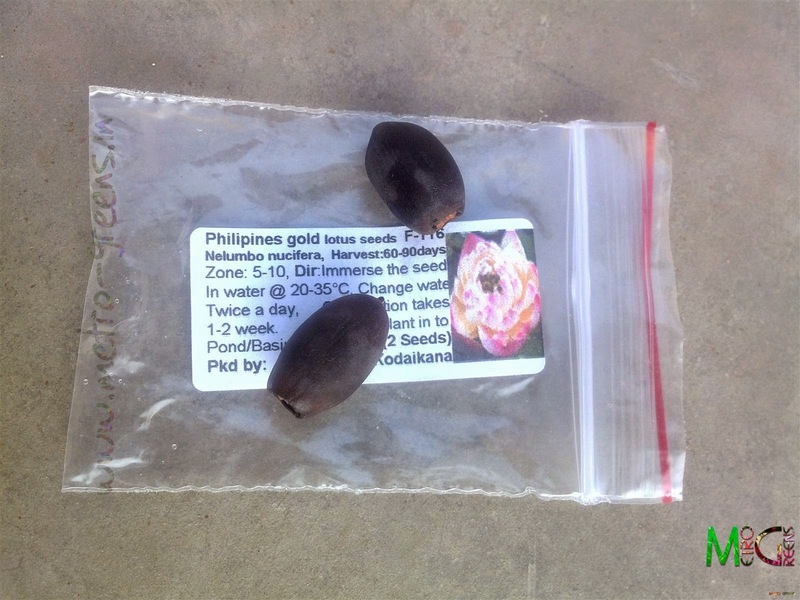 However, I didn’t need to do it as the seller had already sent the seeds with the shells cut for easy germination. It was quite nice of them to have done that. 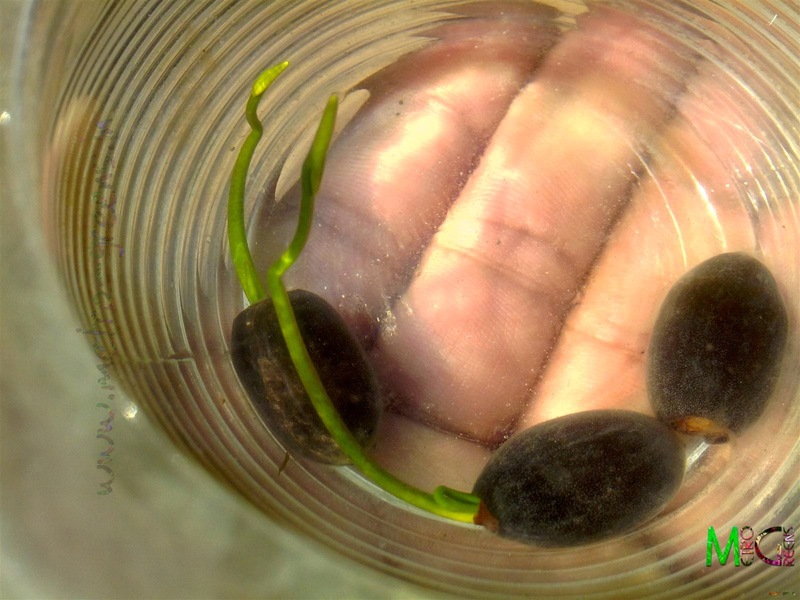 The germinated lotus seed, the first one. 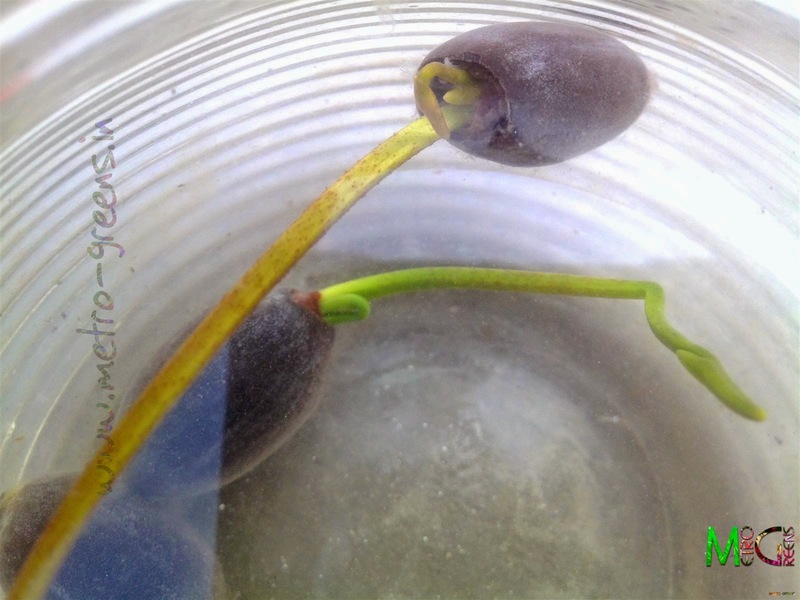 The germinated lotus seed, the second one. The instructions said the seeds will take around a week to germinate, and quite surprisingly, the first seed germinated within the first two days, and the remaining ones, except one have now germinated after a week. 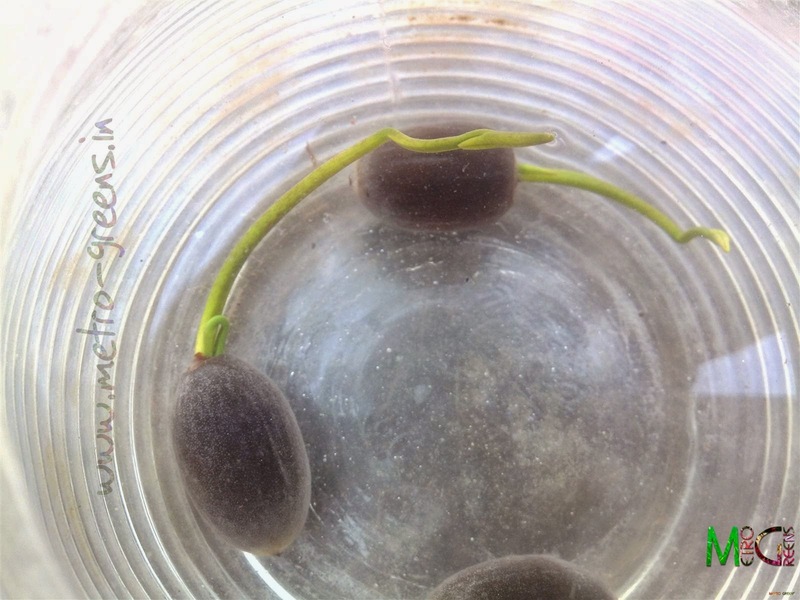 The first one is now quite big and it needed to be transplanted, so this morning, I did it in a plastic tub, that I asked my mother to buy for planting the seeds. 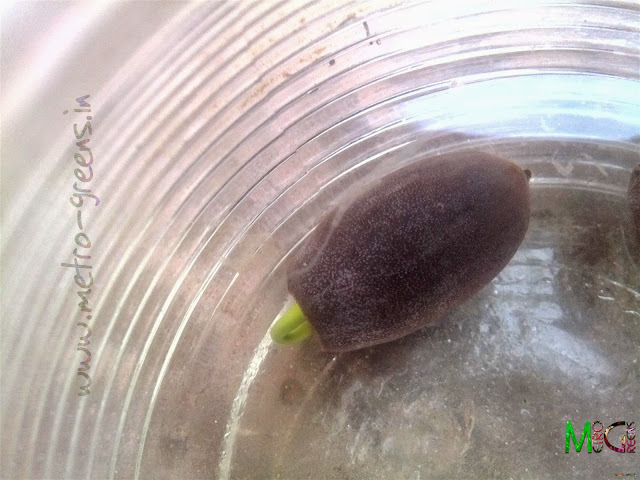 With the water filled in the tub and a layer soil, I transferred the first seedling to its new home. 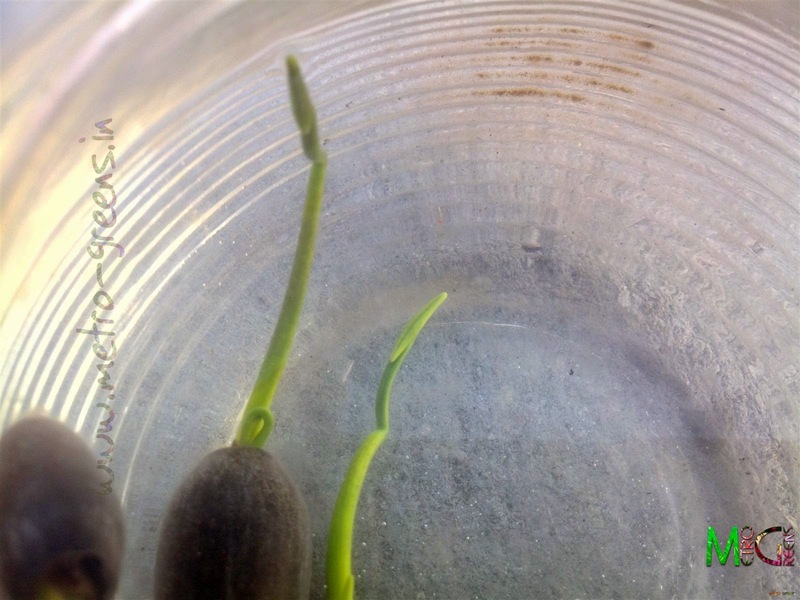 The remaining ones, as they grow bigger will be transferred and hopefully, I’ll have some healthy lotuses in a few weeks’ time, and some blooms in. I’ll keep you all posted about these. I'll be back the next week with new blooms and stories from my small garden. Till then keep experimenting and HAPPY GARDENING! Nice blog and very informative. How is your lotus doing? blooming. 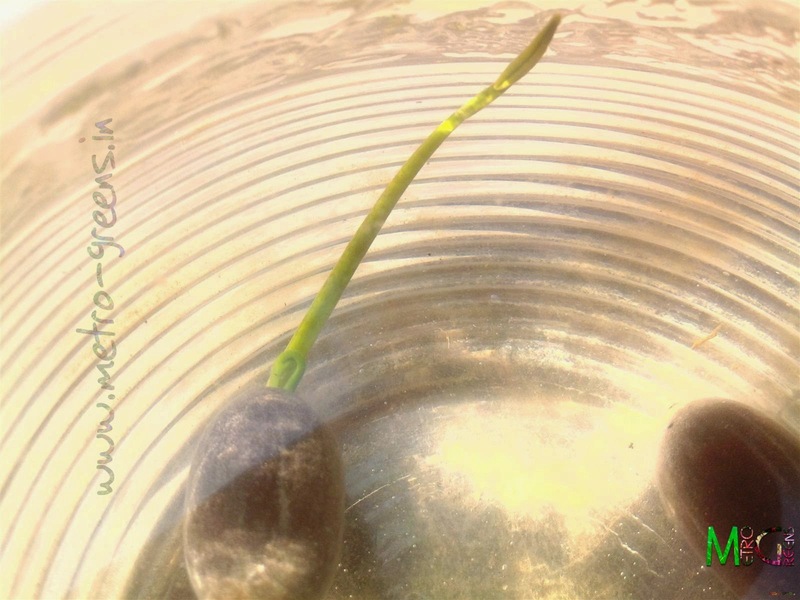 Your blog has inspired me to try growing lotus - so looking forward to hearing from you about your experience. Oops!, sorry to disappoint you. The lotus experiment failed miserably. 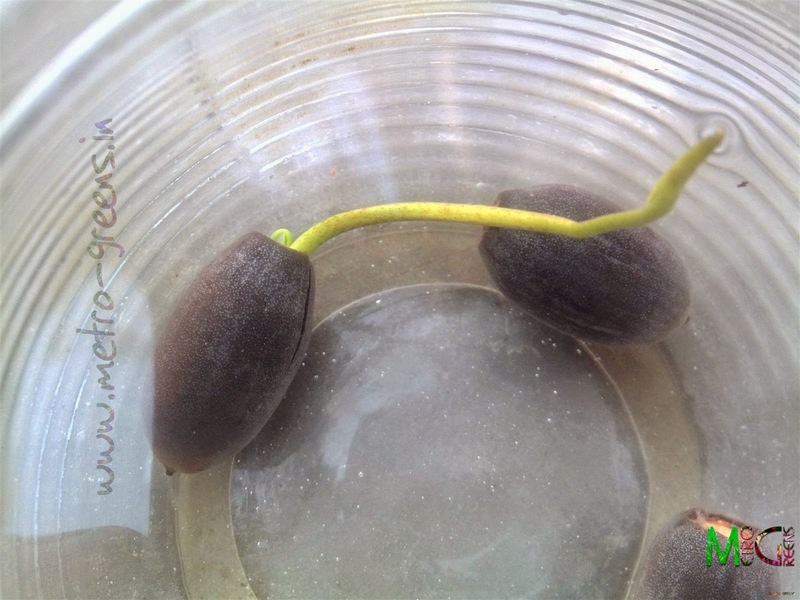 The initial lotus seeds germinated but all of them gradually died. Resolving to try growing them again, I got new lotus seeds and this time, used a 200 ltr plastic vessel, and this time again, it appears that it will fail. Anyways, you should really give it a try. Who knows you are successful, and it gives me the required inspiration to try again, once more. :D Thanks for stopping by.